In my blog posting on October 10th, I highlighted pictures of comet Hartley 2 that I took from my driveway a few days before as it passed almost in front of the double cluster. 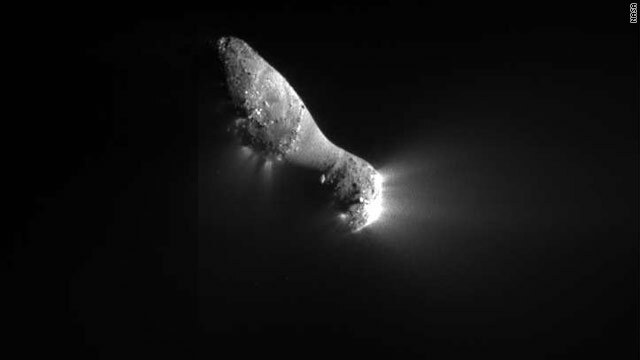 Unbeknownst to me, NASA's EPOXI spacecraft was on its way to a close encounter with this same comet. The encounter took place yesterday. The close-up picture of the comet, shown at right, is amazing.